While constructing a building you need to work with bricks, stones and cement blocks. In such circumstances, masonry saw truly prove to be helpful. They help in cutting those materials along with granites and marbles. In fact, if you are planning to renovate your bathrooms and kitchens then also you should have these saws. They help the constructor to cut off the hard materials and make it easy for the builder to proceed with his work. 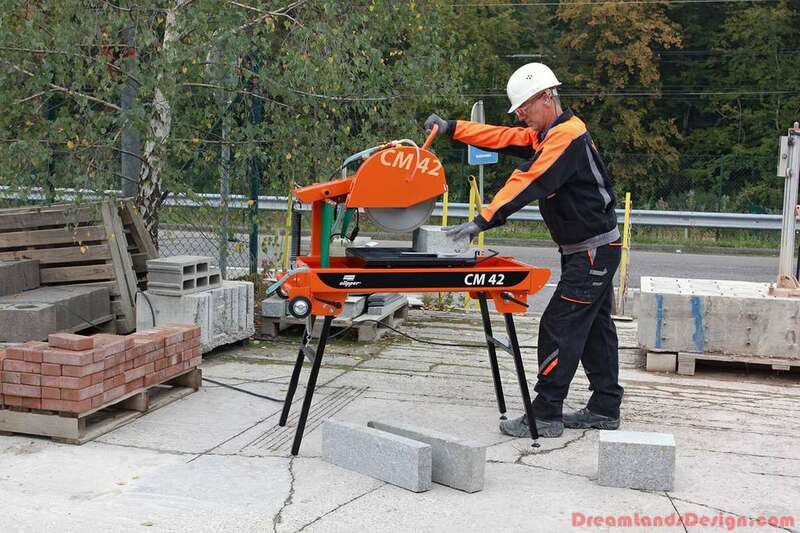 Now, you may think that inspite of availability of different saws, why will the masonry saw needs to be used. In this regard, it is better to mention that wood saws are not sharp enough to cut off hard materials, whereas, hammers can break off the entire material into some unusable pieces. So, it is always better to use a masonry saw, but while choosing any of these accessories, you should give emphasis on the blade selection. Usually there are several ways to make a blade for such saws. Among them, electroplating and molding are considered to be the most common ones. However, if needed a diamond blade can also be bought for accommodating various requirements of the user. But before buying it, you should definitely focus on the blade size. Masonry saws sometimes feature blade guards that can safeguard the blades from getting broken. In fact, these guards also give protection to the humans by not allowing the small pieces of stones and marbles from flying into the eyes of the users. Diamond blades are mostly found in hardware stores. So, you can buy those products from here, or else, you can browse through some websites, where information regarding this topic remains available. In fact, nowadays purchasing those products online is also feasible.